Stories behind workshop plans, post-its and markers. What are the best free online resources for soft skills training materials? We are going to help you to answer this question below! As a trainer, educator or facilitator, you have probably experienced that good icebreakers, exercises, and energiser games are essential for an engaging and effective soft skills training. It takes careful consideration to choose the right activities for your session, the ones that will fit perfectly with your learning objectives, group size, profile of participants, and the time available. That said, you probably have some favorite training games and soft skills training activities that always deliver the desired learning outcomes. However, a little variation and fresh ideas never hurt anybody. Refreshing your toolbox of trainer resources is good for experimenting with new ideas and, more importantly, to avoid doing a popular activity that some of the participants have already done before. However, finding proven quality exercises online is not easy. There are many resources online that are not cheap, and yet their quality is questionable. Even with trusted resources there can still be a lack of essential information that can help you ensure your planned training activities are conducted properly. Occasionally, you can find some information on professional forums, but usually not in a structured and easily accessible way. We are here to help! 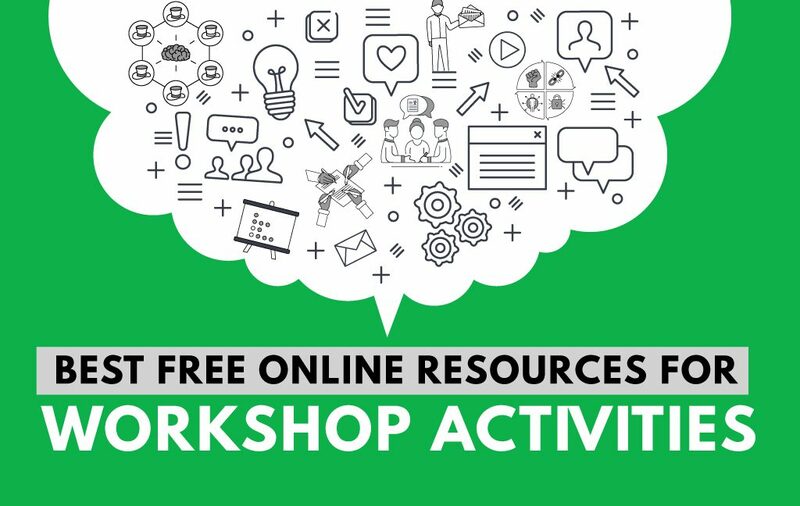 Below you will find the best FREE online resources for trainers, educators and facilitators. BusinessBalls.com is one of the most comprehensive collections of free soft skills training materials online. You can find video clips for teaching and training, team building games, theories on different topics including time management, strategy and innovation, leadership and even relationships. Moreover, the team behind BusinessBalls offers advice on how to enhance your use of the site and the materials and provides an option for asking for new content. 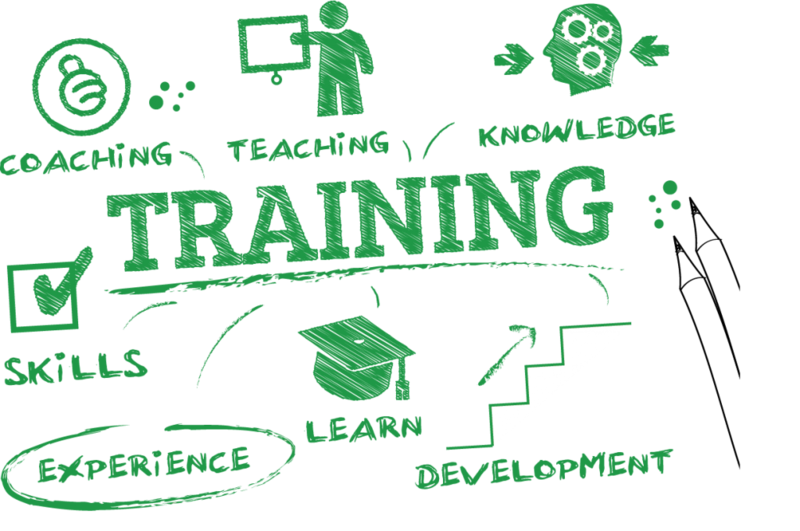 They focus on resources and topics that help trainers, L&D professionals and educators to gain knowledge and inspiration from. They also launched quizzes to the community. 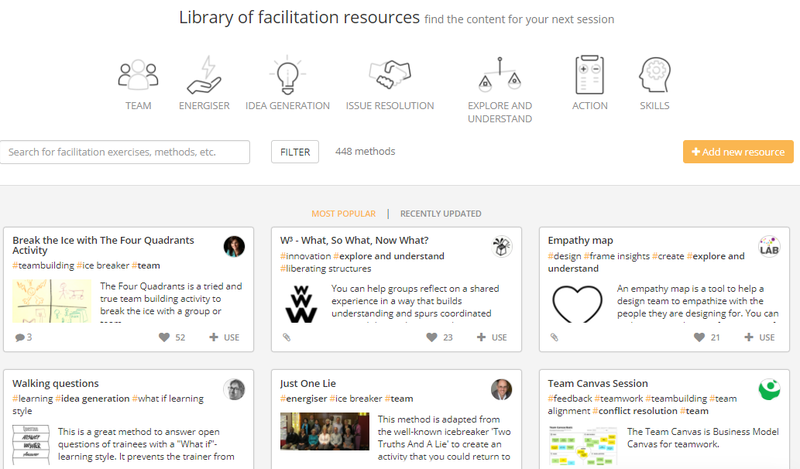 The SessionLab library of training and facilitation methods consists of nearly 500 training exercises and games sorted into different categories. From idea generation to energisers and team activities you can find a great variety of training exercises, and if you need a more specific activity, for instance an outdoor one, you can easily search for that, too. Every activity indicates the ideal group size, timeframe and the level of experience it takes to facilitate the exercise. Once you’ve found the perfect activity you can mark it as a favourite which automatically puts it into your own personal exercise collection. The library includes games and activities from both individual contributors and from other well-known training and facilitation resource collections, such as Liberating Structures, Teampedia, Gamestorming and Medialab Amsterdam. As the name indicates, this site offers a great variety of different training games and resources. Icebreakers, training documents, and team building exercises are just a few of the topics you can find on Trainer Bubble along with training videos. Every exercise’s description states the objective, duration, and group size. Additionally, there is an “intended for…” section that gives you a brief overview of how to maximize your use of the activity. Complete training course materials are available for purchase. Aside from the games and exercises, there are articles on different topics such as how to lead a brainstorming session or how to do networking. Thiagi’s game list has more than 400 free games and exercises with detailed descriptions, facilitation tips, and debriefing questions, ready-to-run for everyone. What makes these games so powerful is the debriefing section of every exercise. Content is important but only if you can debrief in a way that participants can learn from. Aside from the games, you can find articles, interviews and podcasts on their site. A significant set of Thiagi games are also available in the SessionLab library, where you can easily filter and search based on ideal group size, time frame and necessary materials. Read about how to make the most out of Thiagi’s methods. The Hyper Island Toolbox contains 75 games and exercises sorted into categories such as energisers, self-leadership or innovation. The latter category is what gives this toolbox an edge: if you are looking for activities for a design-focused workshop or prototyping session, you can easily find it here. Every activity indicates group size, time frame, facilitation level and comfort zone from the participant’s point of view. The instructions are well-written and easy to follow. All of the exercises are available in the SessionLab library as well. Icebreakers.ws contains a collection of more than 50 handpicked icebreakers sorted by group size and icebreaker type. As the name indicates, it focuses solely on icebreakers, but it does have a great variety of them on the website. 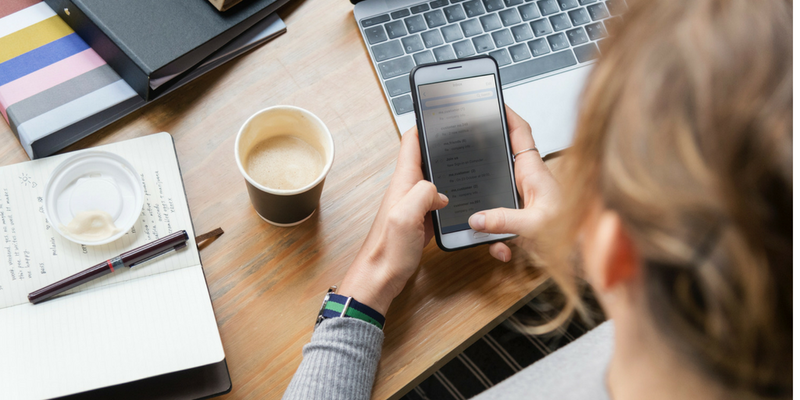 Forums and groups can be a great help for finding a specific exercise or theory, gaining some inspiration on delivery or getting feedback on your own ideas. Plus, in this section we are happy to share some more resources which were recommended by our SessionLab community! TrainingZone’s Discuss forum lets you pose questions to a professional community of trainers with more than 5400 members. 23 activities sorted into 8 different training topics on TrainingCourseMaterial.com They offer full course materials for purchase, too. More than two hundred free articles and resources to develop people and organisation on Nick Heap’s site. Among them you can find some exercises and games as well. 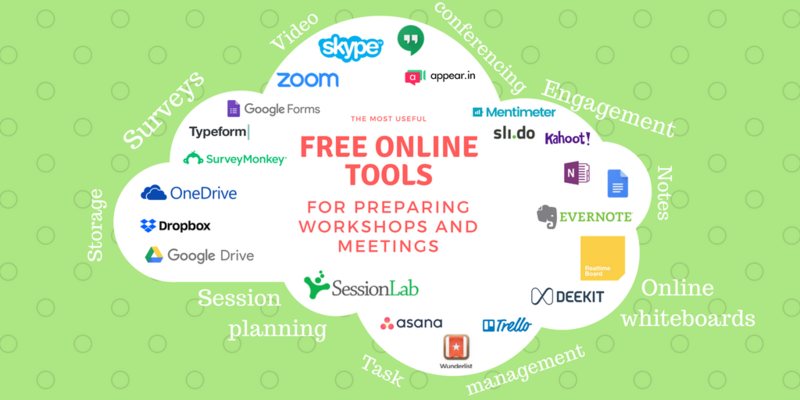 If you are interested in solutions that help you in managing your sessions, we have collected the 25 best free tools for effectively preparing and running training sessions. Do you have any further suggestions of where to find quality training resources? Share them with us in the comments; we are genuinely curious! Stay tuned for more posts for facilitation and training inspiration, tips and tricks from the makers of Sessionlab! If you don’t want to miss a post, subscribe to our blog! Thank you, this is a really useful list. I use Businessballs frequently, and it’s great to see some more resources out there! Need a tool for workshop planning? And join 15,000+ professionals already using SessionLab.